"Is it better now, or now?" 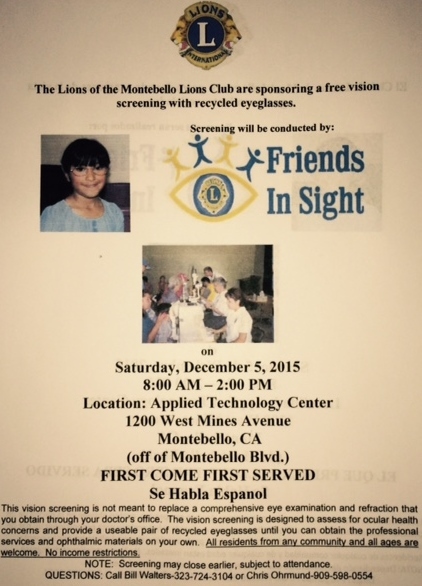 The Lions Club is sponsoring free eye exams & free glasses at it's annual Friends in Sight event. For more information please call 909-598-0554.